Home Entertainment 3 Reasons To Vacation With The 2016 Presidential Candidates. 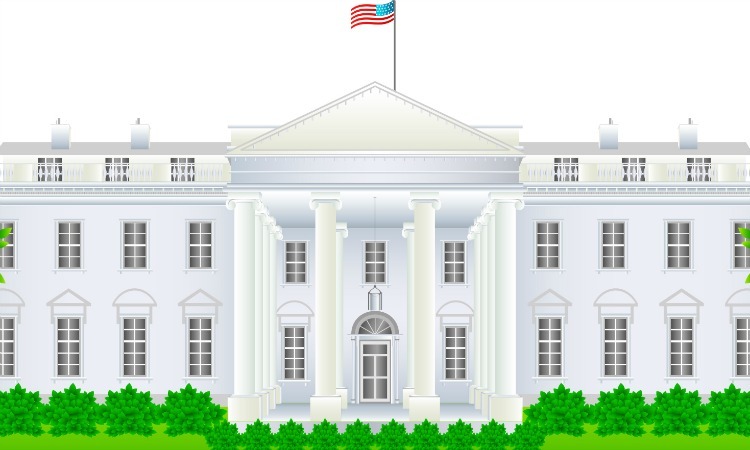 3 Reasons To Vacation With The 2016 Presidential Candidates. As the election season ramps into high gear we can expect to see the candidates on the tv, in the papers and on the news at every turn of the channel or page. They are larger than life and they know it. They live grand lives and travel to places that most of us can only dream of.. I would be really interested to just be a fly on the wall in their daily lives during the campaign process. Each candidate has their unique traits and style that would make the choice difficult at best. So in my opinion here are 3 reasons I would want to vacation with the 2016 Presidential candidates and who was chosen by your peers in a nationwide survey. Why would you want to vacation with the 2016 Presidential Candidates? Get A Unique View Into The World Of a Politician: Unless you have been a member of a highly visible politicians campaign or staff, then I would guess that like myself you really have no idea what’s happening behind the closed doors. Their schedules are hectic and the information they must keep track of is downright ludicrous.I would imagine the reason why they have such large staffs is to help them digest and process all of that information. Visit Their Secret Spots For Vacations: Presidents and presidential candidates are always in the public eye. So when it come time to relax and unwind they really want to go somewhere where their privacy and personal space. Not to mention the world class service you would receive at the elite vacation destinations. Getting Some One-On-One Time To Really Understand Where They’re Coming From: Let’s be honest. I don’t think that anyone outside of the inner circles really knows who the candidates are. I’m not talking about what you read in the paper or what they say in debates. That’s all hearsay and conjecture or just saying what they know they have to say to get your votes. But who are they really? What are the fears and joys in their personal lives. What makes them tick? That’s how you find out about the real person behind the political mask. Well the website Tripping.com has taken the initiative to find out who the most popular candidates are and why we would want to vacation with them. You’ll be amazed at who the overwhelming choice was and for what reasons. You can also check out their favorite vacation spots to get away from it all. 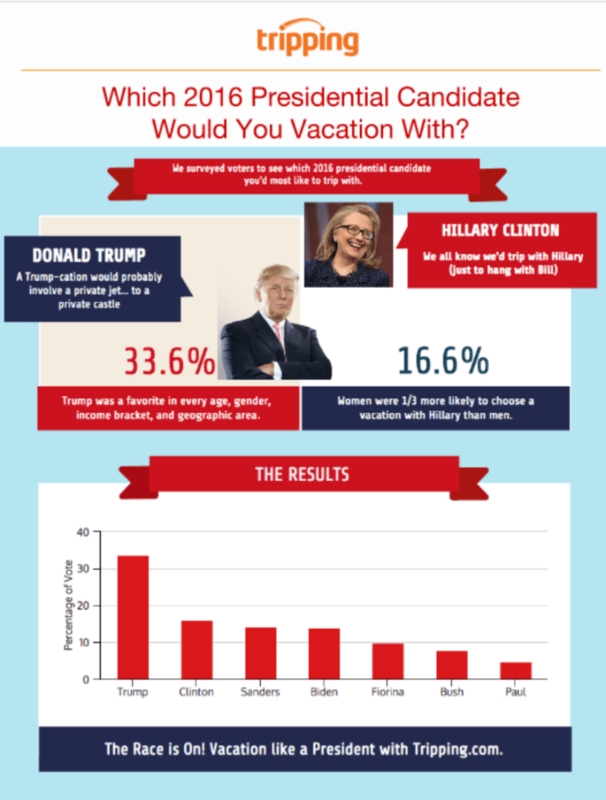 Which 2016 Presidential candidate would you most like to vacation with and why?